Schneit es monentan in Gressoney-Saint-Jean ?Vielen Dank! 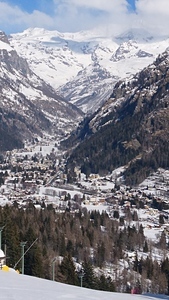 Gressoney-Saint-Jean is part of the Monterosa Ski area. Other resorts include Alagna, Antagnod, Brusson, Champoluc and Gressoney La Trinite. The vertical drop at Gressoney-Saint-Jean is over 700 mtres. There are 3 lifts here and 7 pisted trails. Gressoney-Saint-Jean has cross country skiing and its nearest airport is Turin.